Generally speaking, reading and debunking horrible clean energy or electric vehicle stories in the mainstream media is not something I enjoy doing. But someone has to do it, and since I’ve been studying cleantech in depth for several years now and am in the blogging business, that someone seems to increasingly be me. Unfortunately, the Wall Street Journal yesterday published a horrible story by Todd Myers of the Washington Policy Center. (Curious what the Washington Policy Center is? Read this and this and this.) The piece misses the beat, and then proceeds to actually pick up the drums and drop them out the window. Rather than link to the article (which would only help it to rank higher in Google) or dwell on the myths (which would inadvertently plant them in your head), I’m just going to respond with several important counterpoints. Get your metronome out and be prepared to share! 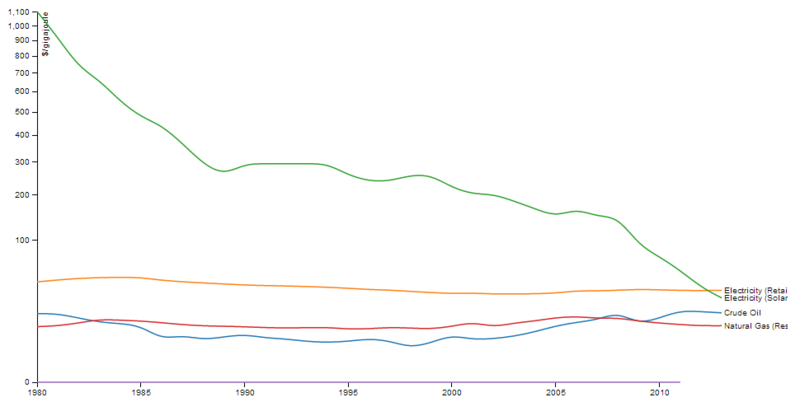 Yep, nuclear and solar thermal also do pretty well. However, as regards nuclear, citizens around the globe have decided nuclear is out of the question, especially after (and while still) watching the trillion-dollar Fukushima disaster unfold. “[T]echnologies that offer only modest reductions in greenhouse gases, such as the use of natural gas and perhaps carbon capture and storage, cannot substantially reduce climate risk in the next 100 years. The fact of the matter is, solar PV is a critical solution to our global warming crisis. There is no replacement. 2. Social support for solar has driven down the cost of solar to a massive degree. One of the key premises put forth in the Wall Street Journal article is that social support for solar has not had any beneficial effect. How you could come to that conclusion is beyond me. As I’ve written previously here on Cost of Solar, the cost of solar is about 100 times lower than it was in 1977. Looking at more recent years, it’s about 2 times lower than it was about five years ago. A recent analysis found it was 50% lower than in 2008, and another analysis found that the cost of solar panels in the US has dropped 80% since early 2011. These massive cost drops haven’t come about for no reason. They’ve come about mostly due to governmental support for solar around the world that has resulted in a huge ramp-up of demand and production. With economies of scale, costs come down (simple economics, and not something the folks at the Wall Street Journal should miss). Notably, while we continue to send billions and billions of dollars in fossil fuel subsidies, their costs continue to rise. But people like Todd Myers and the folks who run the Wall Street Journal don’t seem to get the point that subsides should serve a purpose (e.g., to bring down the cost of energy, or to improve our quality of life and our society), so they decide to attack solar subsidies rather than fossil fuel subsidies. 3. The costs of energy are not just in the price at the register. One of the most consistent mistakes people like Todd make is neglecting to care about the externalities that come with fossil fuels. These are subsidies. Instead of making fossil fuel companies pay for the pollution they spew, the public subsidizes their costs “at the register” in the form of health problems and early death. Even if fossil fuel companies are not made to pay for these additional costs (they aren’t in the US), these subsidies should be included in the work of any respectable researcher covering energy costs. With those costs included, solar is cheaper than coal. The situation with natural gas is more complicated, because there isn’t yet consensus on the amount of methane that leaks into the atmosphere while recovering or using natural gas, nor is there a consensus on the health and water impacts that come with natural gas fracking. But as the study at the top notes, natural gas simply doesn’t cut it climate-wise. 4. 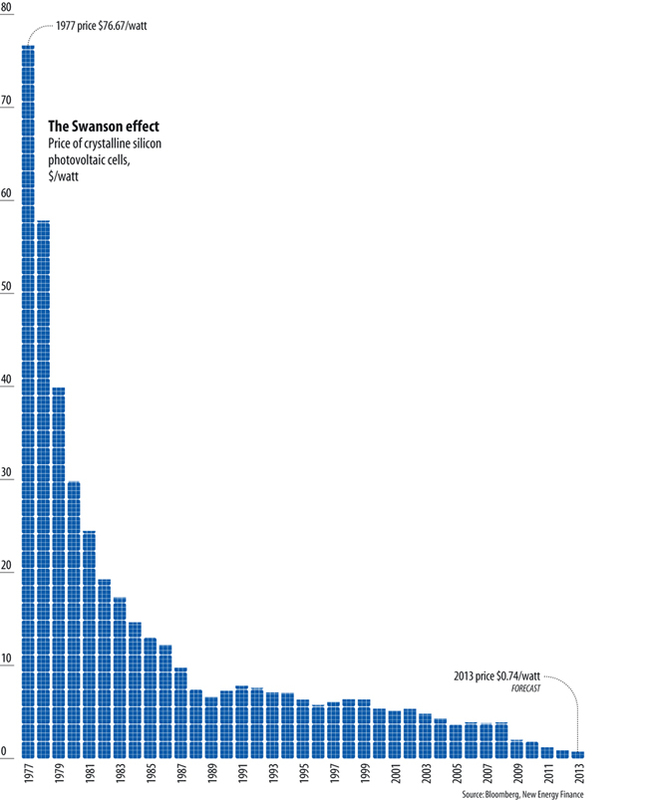 Solar power provides electricity at the time of peak demand. Simple economics (again, something that you would expect from an article in the Wall Street Journal): as demand rises, price rises (assuming supply remains the same). There are only so many power plants in the US. So, as electricity demand rises during the day (peaking in the afternoon), the price of electricity rises. Luckily, solar energy is most available at basically the best time of day (not a coincidence, to be honest). The value of electricity at that time is much greater, which means that the value of electricity from solar power plants is generally much greater than from other power plants. Comparing electricity costs without looking at value is disingenuous. Over 10,000 solar jobs were announced in the second quarter of 2013. 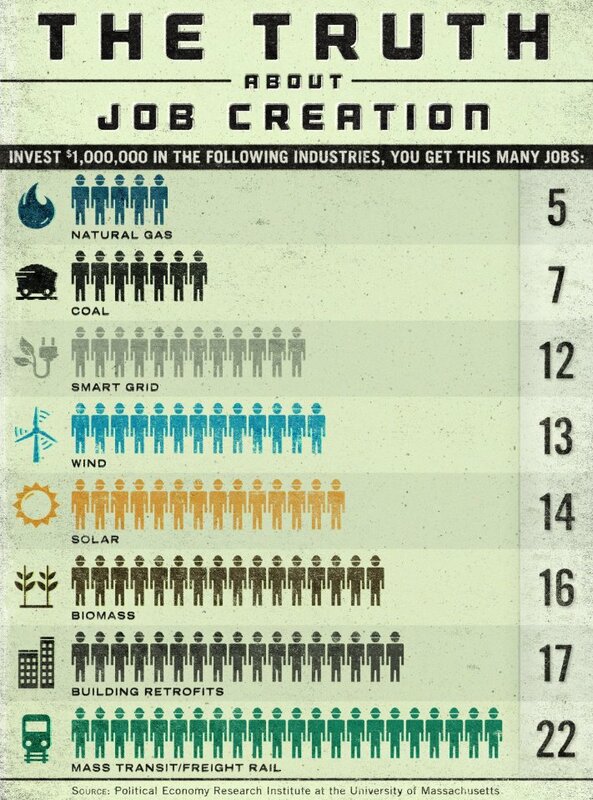 Those jobs are boosting local economies across the US and boosting the US economy as a whole. Again, to ignore this is to ignore some of the extra benefits and value of solar power. 6. Distributed solar PV also provides many benefits to the grid that save electricity consumers a lot of money. You can’t just look at one side of the equation. If you want to do a worthwhile comparison of prices, you should include both the costs and the savings. 7. Rooftop solar power competes with retail electricity, not wholesale electricity. Again, Todd seems to completely miss the fact that even if electricity from solar power plants were more expensive than electricity from nuclear power plants, they often aren’t even competing in the same market. It would be like saying toilet paper Walmart buys from suppliers should cost the same as toilet paper people buy from Walmart. Of course that’s not how things work — if Walmart didn’t sell at a profit, it would go out of business. Rooftop solar power competes with retail electricity, which is much more expensive than wholesale electricity. So, rooftop solar power doesn’t need to cost the same as wind power or fossil fuel power in order to be cost-competitive. All in all, if you want to make solar look bad, simply ignore the unique benefits that solar PV power provides, ignore its greater value, ignore the jobs and local economic activity it creates, ignore the dramatic drop in the cost of solar thanks to government policies, and ignore the fact that rooftop solar competes in the retail electricity market. Don’t have solar on your roof yet? Take advantage of solar’s excellent return on investment and go solar!